Dr. Rebecca K.S. Wong is a radiation oncologist at Princess Margaret Cancer Center, University Health Network. After graduating from Sheffield University (UK), she completed her radiation oncology training at Queen’s University (Canada) and MSc in clinical epidemiology at McMaster University(Canada). Her clinical and research interests are in gastrointestinal malignancies and palliative radiotherapy. She is the head of the Palliative Radiation Oncology Program at PMCC. She is chair of the symptom control committee at NCIC Clinical Trials Group where she strives to promote research this area. She is active in evidence based guidelines and currently serve as the co-chair for the GI disease site group Cancer Care Ontario Practice Guideline Initiative. 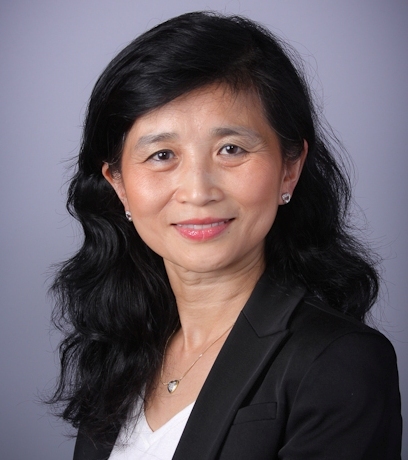 She is Director of the Clinical Trials Program, Radiation Medicine Program, PMCC and full professor, and Acting ViceChair for Education, Department of Radiation Oncology, University of Toronto. She has authored over 100 peer reviewed publications, and 8 book chapters. Radiotherapy, metastatic cancer, palliative radiotherapy, Gastrointestinal malignancies, esophageal cancer, gastric cancer, Systematic reviews and meta-analysis, evidence based guidelines, clinical trials. 1. Wong R, Tandan V, DeSilva S, Figueredo A. Preoperative radiotherapy and curative surgery for the management of localized rectal carcinoma. The Cochrane Database of Systematic Review 2007 Issue 2. Principal Author. 2. Letourneau D, Wong KSR, Moseley DJ, Sharpe MB, Ansell S, Gospodarowicz MG, Jaffray DA. On-line planning and delivery technique for radiotherapy of spinal metastases using cone-beam CT: image quality and system performance. Int J Rad Onc Biol. 67, 4, 1229-1237, 2007. Co-Principal Author. 3. Wong R, Malthaner R. Combined chemotherapy and radiotherapy (without surgery) compared with radiotherapy alone in localized carcinoma of the esophagus (review update). The Cochrane Database of Systematic Reviews 2006, Issue 1. Principal Author. 4. Wong RK, Paul N, Ding K, Whitehead M, Brundage M, Fyles A, Wilke D, Nabid A, Fortin A, Wilson D, McKenzie M, Ackerman I, Souhami L, Chabot P, Pater J. 5-hydroxytryptamine-3 receptor antagonist with or without short-course dexamethasone in the prophylaxis of radiation induced emesis: a placebo-controlled randomized trial of the National Cancer Institute of Canada Clinical Trials Group (SC19). J Clin Oncol. 25, 21, 3458-64, 2006. Principal Author. 5. Sze J, Marisette S, Williams D, Nyhof-Young J, Crooks D, Husain A, Bezjak A, Wong R. Decision making in palliative radiation therapy: reframing hope in caregivers and patients with brain metastases. Support Care Cancer. 14: 1055–1063, 2006. Senior Responsible Author. 1. Chow E, van der Linden YM, Roos D, Hartsell WF, Hoskin P, Wu JSY, Brundage MD, Nabid A, Tissing-Tan CJA, Oei B, Babington S, Demas WF, Wilson CF, Meyer RM, Chen BE, Wong RKS. Single versus multiple fractions of repeat radiation of painful bone metastases: a randomised, controlled, non-inferiority trial. Lancet Oncol. 2014 Feb;15:164-171. Impact Factor 25.12. Principal Author. 2. Chow E, van der Linden YM, Roos D, Hartsell WF, Hoskin P, Wu JSY, Brundage MD, Nabid A, Tissing-Tan CJA, Oei B, Babington S, Demas WF, Wilson CF, Meyer RM, Chen BE, Wong RKS. Single versus multiple fractions of repeat radiation of painful bone metastases: a randomised, controlled, non-inferiority trial. Lancet Oncol. 2014 Feb;15:164-171. Impact Factor 25.12. Principal Author. 3. Youl M, Hashem S, Brade A, Cummings B, Dawson LA, Gallinger S, Hedley D, Jiang H, Kim J, Krzyzanowska MK, Ringash J, Wong R, Brierley. Induction Gemcitabine plus concurrent Gemcitabine and radiotherapy for locally advanced unresectable or resected pancreatic cancer. Clinical Oncol. 2014 Jan;26:203-209. Impact Factor 2.635. Coauthor or Collaborator. 4. Metser U, Rashidi F, Moshonov H, Wong R, Knox J, Guindi M, Darling G. 18F-FDG-PET/CT in assessing response to neoadjuvant chemoradiotherapy for potentially resectable locally advanced esophageal cancer. Ann Nucl Med. 2014 Jan. Impact Factor 1.41. Coauthor or Collaborator. 5. You JJ, Wong RKS, Darling G, Gulenchyn K, Urbain J-L, Evans WK. Clinical Utility of 18F-Fluorodeoxyglucose Positron Emission Tomography/Computed Tomography in the Staging of Patients with Potentially Resectable Esophageal Cancer. J Thorac Oncol. 2013 Dec;8(12):1563-1569. Impact Factor 4.473. Co-Principal Author. 6. Tsang DS, Voncken FE, Tse RV, Sykes J, Wong RK, Dinniwell RE, Kim J, Ringash J, Brierley JD, Cummings BJ, Brade A, Dawson LA. A randomized controlled trial of lorazepam to reduce liver motion in patients receiving upper abdominal radiation therapy. Int J Rad Oncol Biol Phys. 2013 Dec;87(5):881-887. Coauthor or Collaborator. 7. Bujold A, Massey CA, Kim JJ, Brierley J, Cho C, Wong RK, Dinniwell RE, Kassam Z, Ringash J, Cummings B, Sykes J, Sherman M, Knox JJ, Dawson LA. Sequential phase I and II trials of stereotactic body radiotherapy for locally advanced hepatocellular carcinoma. J Clin Oncol. 2013 May 1;31(13):1631-9. Coauthor or Collaborator. 8. Pope K, Fitzpatrick D, Potter A, Holwell M, Wang L, Lau M, Levin W, Mclean M, Zurawel Balaura L, Bezjak A, Wong R.K.S. Dosimetric and clinical impact of 3D vs. 2D planning in palliative radiotherapy for bone metastases. Support Care Cancer. 2013. Impact Factor 2.649 (Trainee publication). Senior Responsible Author. 9. Hsien WK J, Rosewall T, Wong KSR. In their own words: A qualitative descriptive study of patient and caregiver perspectives on follow-up care after palliative radiotherapy. Journal of Medical Imaging and Radiation Sciences. In Press (Trainee publication, MSc). Senior Responsible Author. 10. Wong RKS, Bensadoun R-J, Boers-Doets CB, Bryce J, Chan A, Epstein JB, Eaby-Sandy B, Lacouture M. Clinical practice guidelines for the prevention and treatment of acute and late radiation reactions from the MASCC Skin Toxicity Study Group. Support Care Cancer. 2013. Impact Factor 2.649 (Trainee publication). Principal Author. 11. Rebecca K.S. Wong, Daniel Letourneau, Anita Varma, Jean Pierre Bissonnette, David Fitzpatrick, Daniel Grabarz, Christine Elder, Melanie Martin, Andrea Bezjak, Tony Panzarella, Mary Gospodarowicz, David A Jaffray. A One- Step Cone-Beam CT- Enabled Planning-to-Treatment Model for Palliative Radiotherapy - From Development to IMplementation. Int J Rad Oncol Biol Physics. 84, 3, 834-840, 2012. Impact Factor 4.37. Principal Author. 12. Voncken FEM, Jiang H, Kim J, Guindi M, Brierley J, Knox J, Liu G, Horgan AM, Lister J, Darling G, Metser U, Wong RKS. Degree of tumor shrinkage following neoadjuvant chemoradiotherapy: a potential predictor for complete pathological response in esophageal cancer? Diseases of the Esophagus. Article first published online : 2 NOV 2012. Impact Factor 1.814 (Trainee publication). Senior Responsible Author. 13. Fitzpatrick D, Grabarz D, Wang L, Bezjak A, Fehlings MG, Fosker C, Rampersaud R, Wong RKS. How Effective Is a Virtual Consultation Process in Facilitating Multidisciplinary Decision-Making for Malignant Epidural Spinal Cord Compression? Int J Rad Oncol Biol Phys. 84, 2, 3167-172, 2012. Impact Factor 4.37 (Trainee publication). Senior Responsible Author. 14. Nissim R, Wong R, Fyles A, Moddel D, Zimmermann C, Rodin G. Can Trained Volunteers Provide Psychosocial Support to Patients Undergoing Radiotherapy? The Perspective of Patients and Volunteers. Practical Radiation Oncology. 2,4,e23-29, 2012. Co-Principal Author. 15. Wong R, Walter-Dilks C, Raifu A. Evidence-based Guideline Recommendations on the use of Positron Emission Tomography Imaging in Oesophageal Cancer. Clinical Oncology. 24, 86-104, 2012. Impact Factor 2.19. Principal Author.